Who needs 'halaal' certification? Muslim organisations, manufacturers or Muslim consumers. It's certainly not the Muslim consumer and Muslim organization but the businesses that crave for halaal recognition so as to enjoy the loyalty of their Muslim consumer. At time when demand for Halal food is rising globally, a new hardliner Sinhalese Buddhist group in Sri Lanka has called for the boycott of halal-slaughtered meat as well as other products which carry a halal certificate. Buddhist hardliners argue they should not be forced to consume food that is prepared according to Islamic rites. At a rally outside of Colombo, monks of the Bodu Bala Sena, or Buddhist Force, announced the boycott and insisted that shops clear their inventories of halal food by April. "More than 90% of the population are non Muslim and therefore there is no justification to force them to eat halal products," monk Kirama Wimalajothi said in a statement. I wonder, why they consider Halal label to be threatening their culture and their traditions. It's a matter of choice and not an obligation. For instance; when a non vegetarian Indian enters in a food court at a shopping mall, he finds many food products with a green circle within a square that certifies the product being pure vegetarian. Now it's his choice whether to buy it or not. He never seems it to be threatening to his non vegetarian culture. Indeed, those waging war against Halal food are impeding the development of their nation. The Halal food industry is one of the important sources of foreign exchange and is an excellent business opportunity for companies looking to exploit the Muslim consumer market particularly in OIC countries. The Halal market is one that food companies cannot ignore. The question is 'Who needs 'halaal' certification? 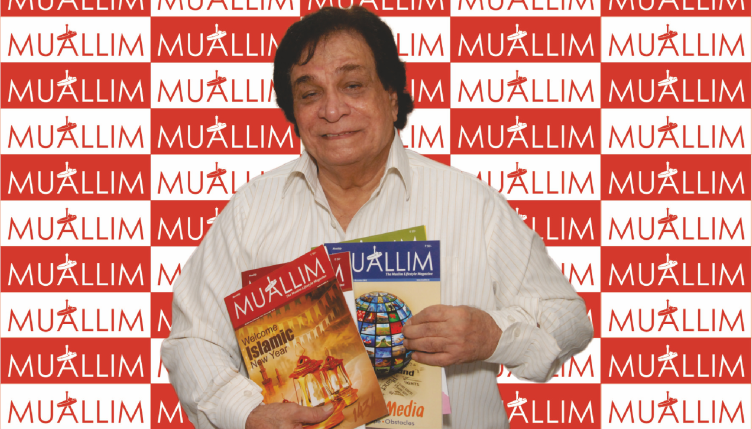 Muslim organisations, manufacturers or Muslim consumers. It's certainly not the Muslim consumer and Muslim organization but the businesses that crave for halaal recognition so as to enjoy the loyalty of their Muslim consumer. Muslims are very particular about the dietary laws of Islam. When there was a time before halaal certification. Even then Muslim consumers were very selective and used to have dinner or lunch in a restaurant either run by a Muslim or they had trust that their foods were 'halaal'. Indeed Halal certification made it easy to non Muslim food manufactures and eatery houses to attract Muslim consumers. 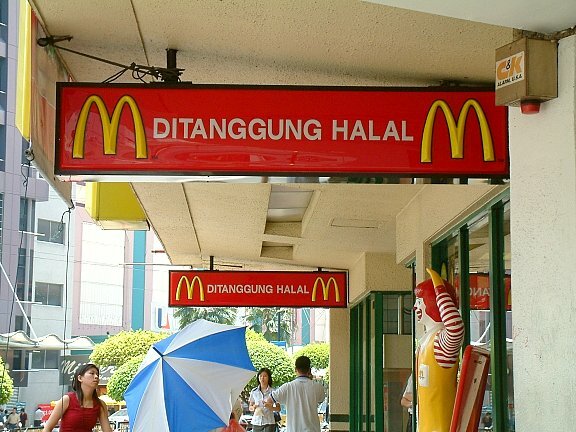 Abolishing the halal certification will affect the business and not the Muslim. As a matter of fact, there's nothing wrong if non Muslims will eat halal foods. Particularly for Buddhist when there are no set dietary laws in Buddhism. Tere is no such clear distinction between permitted and forbidden foods in Buddhism. That is why; there is a great deal of diversity in Buddhist practice in different parts of the world. Fortunately, the Buddhist Force of Sri Lanka has disassociated itself from the violence, saying there are "duplicate groups" pretending to be them and stirring up trouble that has raised new tensions in a country emerging from nearly four decades of ethnic strife which claimed at least 100,000 lives, according to UN estimates. Likewise the All Ceylon Jamiyyathul Ulama (ACJU), Sri Lanka's main body of Islamic clergy, which issues the halal certificates, asked retailers to ensure Halal certified products were offered only to Muslims. "We want to promote peaceful co-existence and harmony," ACJU president Mufti Rizwe told. As per the report of Agricultural and Agri-Food Canada “The halal food market has grown quickly over the past decade, and is now worth an estimated $632 billion annually. As such, it represents close to 17% of the entire global food industry. Several multinationals, such as Tesco, McDonalds and Nestlé, have recognized this, and have expanded their halal approved product lines. It is estimated that these multinationals control 90% of the global halal market. There is also strong potential for halal certified products in non-majority Muslim markets, where consumers are looking for safe and ethical products. The increasing popularity of the halal market in Europe is driven by Russia, France and the United Kingdom. Therefore let the Halal prevail, not for the Muslim but for the larger interest of national and global economy.